Carlos Garcés was awarded Best Conductor of the Year 2011 by The Chinnart Awards Committee during his Tour with the Orchestra “Ciudad de Palencia” in China. Also he was awarded Best Conductor on the First Orchestra Competition in Palau de les Arts in Valencia, 2017. He achieved his Degree in Orchestral Conducting at the Conservatory of the Basque Country (MUSIKENE) with the highest marks and under the tutelage of Enrique García Asensio and Manel Valdivieso. Garcés also received advise in his conducting career from Bernard Haitink, Benjamin Zander, Andrés Orozco-Estrada Odón Alonso, Ferrer Ferrán, José Manuel Aceña, Pascual Balaguer and J. Vicent Egea. He was awarded a Scholarship to study at the Conservatory “G. B. Martini” in Bologna (Italy) with Luciano Acocella and completed his studies with a Master’s Degree in Orchestral Conducting at the Conservatory CODARTS in Rotterdam (The Netherlands). In 2014, Garcés was accepted by the Orchestra of the Lucerna Festival to study with Bernard Haitink and from April 2015 he is a member of the JONDE’s Conducting Students’ Pool. He recently won, together with Santa Cecilia of Cullera, the First Prize at the Honorary Division at the “City of Valencia” Contest in 2015. Garcés has recorded for Itinerant Classics the Egea´s First Symphony “Numancia” with “Lira Numantina” Symphony Orchestra. 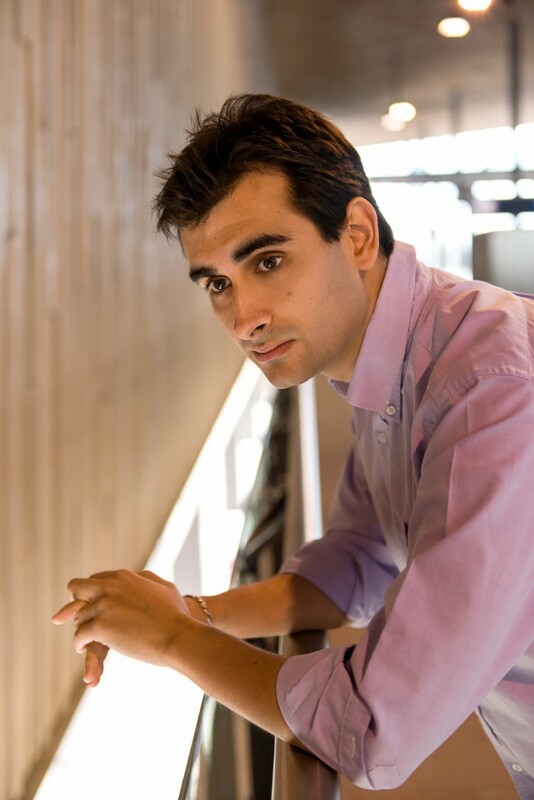 Carlos Garcés is Artistic Director and Principal Conductor of the Lira Numantina Orchestra of Soria and the Orchestra “Ciudad de Palencia”. He is also Chief Conductor of the “Santa Cecilia” Symphony Orchestra of Cullera (Valencia).